In the fourth industrial revolution, humans are not making the most of this potential advantage. Satya Nadella, the CEO of Microsoft, said at Davos this year that in a world with a surfeit of AI and machine learning, “human values such as common sense and empathy will be scarce.” A finding by Sara Konrath at Michigan University shows that young people are becoming less empathic than ever; American College students showed a 48% decrease in empathic concern and a 34% drop in their ability to see other people’s perspectives. The figures indicate that precisely now, when our powers to engage with others could make the difference between ourselves and our automated counterparts, we are allowing our empathy muscles to atrophy. We are, to put it simply, disengaging. Some 87% of millennials admitted to missing out on a conversation because they were distracted by their phone. Ironically, in a world that is increasingly connected, we as individuals, as families, as a society, are becoming less connected. A Gallup poll shows that families eat together less and less, while 51% of teens would rather communicate digitally than in person (even with friends). And 43% of 18-24 year-olds say that texting is just as meaningful as an actual conversation with someone over the phone. So at a time when we should be flexing our empathic muscles and becoming more emotionally intelligent we are actually dumbing down. We have become empathic slobs and this is a problem that needs to be addressed. MIT is one of the few institutions that understands the importance of honing its students’ emotional intelligence as well as their technical skills.Their undergraduates - soon to be the world’s elite technologists - can attend a “Charm School”, a long-running, tongue-in-cheek programme which includes advice on everything from when to make eye contact and how to kindly break bad news. MIT have hit on an invaluable point, realising the need to fill a crucial gap in their students’ educations. But by the time young people reach tertiary education it might already be too late. We need to build empathy into our entire education system and create corporate environments that value skills that have previously been labelled as “soft” add-ons. In many ways the problem is a historical one. Our education system is still rooted in the values of the industrial era. The so-called 3 Rs - reading, writing and arithmetic - which prepared students for factory and clerical tasks, concentrated on so-called “hard” skills at the expense of creativity, imagination or emotional intelligence. While education systems do foster empathy through subjects like foreign languages, literature and the arts, these are not always seen as crucial. In the words of Teresa Cremin, a professor of education at the UK's Open University, by failing to develop resilience, imagination (linked to empathy), creativity and resourcefulness, the British National Curriculum is “educating for the past, not the rapidly changing and unknown future”. Other countries face a similar disconnect. The skills associated with empathy need to become core values in our homes, our schools and the workplace. They need to be embedded at all levels of society. This is not a box-ticking exercise. 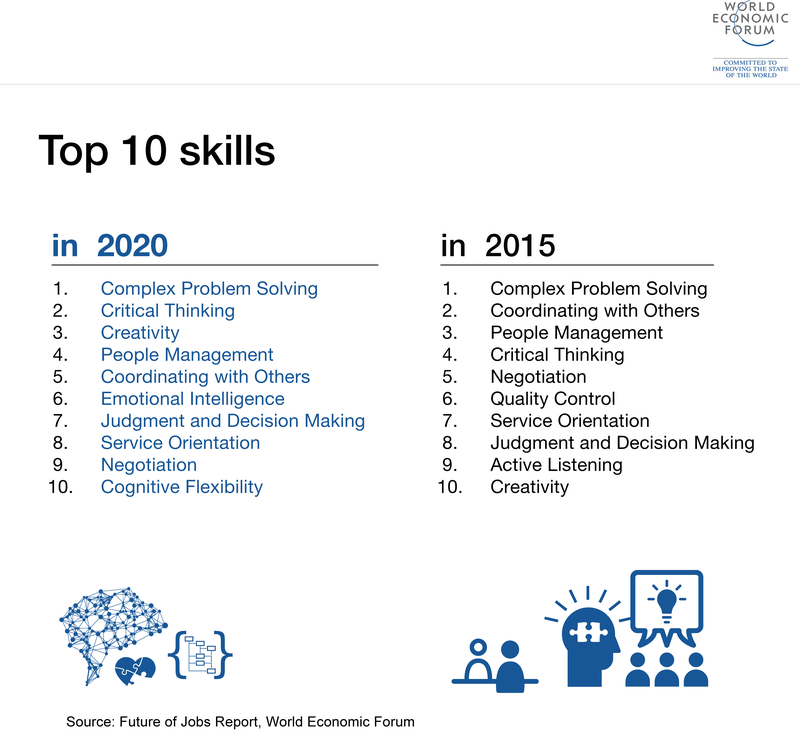 These are not soft skills, they are the skills of the future, because while technology is crucial, it will be far more powerful when in the hands of the emotionally literate geek. And to provide a future generation with high levels of emotional literacy we need to institutionalise empathy - to systematise it, making it a part of the foundations of our learning both at work and as school. MIT is not the only institution to have woken up to this: SAP now have a ‘Empathy to action’ programme for their sales teams, Facebook have an Empathy Lab, Johnson and Johnson have a new business direction with empathy at the heart of it. These initiatives recognise the fundamental shifts that society is undergoing and the need to prepare for the changes that are still to come. It is a cliché of science fiction that as AI advances, the computers become more humanised until it is almost impossible to tell us apart. So it is a monumental irony that in the real world, the advance of AI has resulted in a human race that is becoming increasingly automated, digitised and computerised. We always thought the threat of machines was that they would emulate us so well they would replace us. We never considered that it could go in the other direction.